We have licensed professional massage therapists on duty and we also have massage tables and chairs for your convenience. Massage services can be brought to you and corporate rates are available. 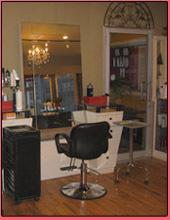 Our family-owned-and-operated salon has 4 well-trained professionals, a relaxed warm atmosphere and a very clean setting. Your satisfaction is guaranteed with every visit you make! Whether its acrylic nails, gel nails, or manicure and pedicures in NYC, we will make sure that the artificial nails we use on you are safe, easy to remove when you want them gone and styled to your liking. Are you ready for some royal treatment? Let FiFi Nail Salon treat you right! Our salon offers professional manicures and pedicures for enhancing your beauty to the New York, Manhattan area. 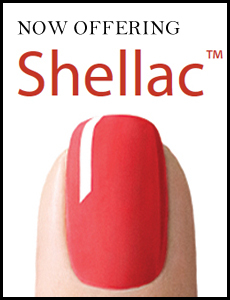 Visit us for gels, minxs, silk nails, shallac manicures, and manicure and pedicures in NYC. Not only do we offer a variety of artificial nail services, but we also specialize in the manicuring of natural nails. In addition, we offer mobile massage and waxing services for anyone, including and best for pregnant woman at home or the hospital. Treat your employees at your office or cater any size party in our shop! No limitations apply. Fifi Nail Salon is your nail salon and massage services. We offer a variety of nail services, including manicures and pedicures. We also offer waxing services. Located in New York, New York. Come to us for wonderful pedicures and let us chase away your stress and help you relax! Our manicure salon in NYC provides stronger fingernails for women through our manicure and pedicures. Massage and waxing services are also available. Walk-ins are welcome, or call for your appointment. You will appreciate our quality service and our discounted prices. House Calls for Pregnant Women, Offices, Model, House Parties, Holidays, Weddings, Proms and Graduation. We also provide Manicures for Brittle Fingernails and Medical Pedicure services.